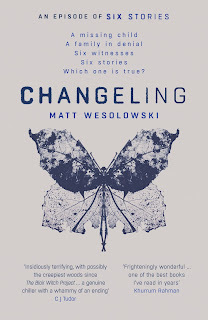 I am delighted to be today's slot on the Blog Tour for Changeling by Matt Wesolowski. 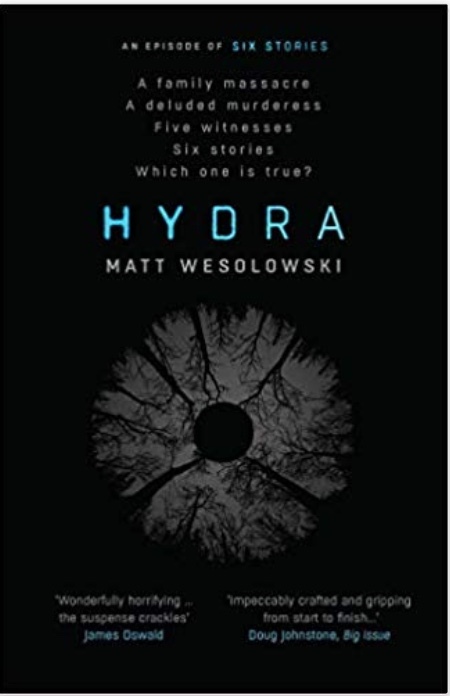 I've read all three books in his Six Stories series so far (published by Orenda Books) and urge you to read them if you haven't already done so. Here's a brief recap to help you catch up. 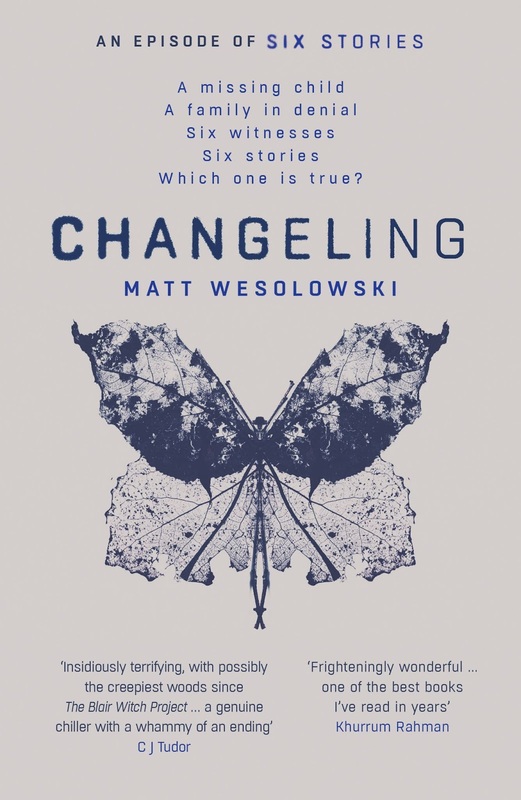 The three books in the series so far are Six Stories, Hydra and Changeling. These classic murder mysteries are given a modern twist with their hint of horror and supernatural. Each book is skilfully executed through a series of six podcasts. They all feature the reclusive journalist Scott King, who is investigating cold cases by interviewing leading witnesses to see if they reveal further snippets of information. 1997. Scarclaw Fell. The body of teenager Tom Jeffries is found at an outward bound centre. Verdict? Misadventure. But not everyone is convinced. And the truth of what happened in the beautiful but eerie fell is locked in the memories of the tight-knit group of friends who took that fateful trip, and the flimsy testimony of those living nearby. 2017. 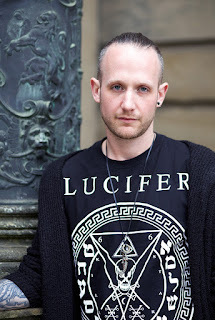 Enter elusive investigative journalist Scott King, whose podcast examinations of complicated cases have rivalled the success of Serial, with his concealed identity making him a cult internet figure. 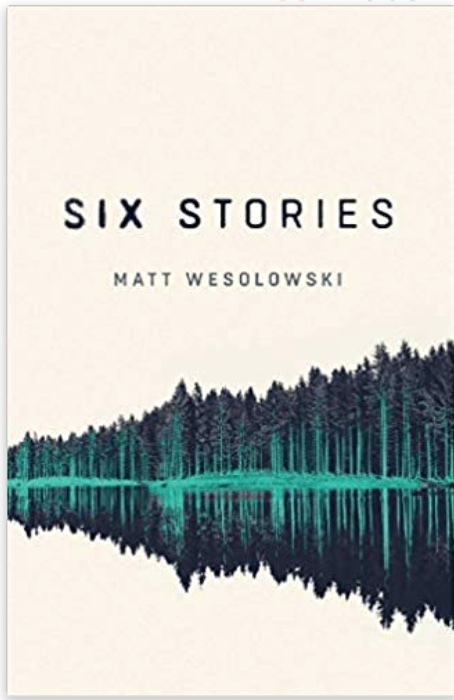 Six Stories is an eerie spine-tingling read. It's unpredictable and chilling and kept me guessing all the way through. I don't scare easily, but certainly found this book unsettling. 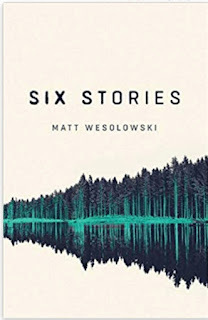 Matt Wesolowski has built up a dark, atmospheric setting with his vivid descriptive prose. The voices were so distinctive that I felt like I was listening to a podcast rather than simply reading the transcript. I built up a picture of the people, relationships between characters and an amazing sense of place. It felt more like fact than fiction - and I had to keep reminding myself that Scarclaw Fell isn't real! 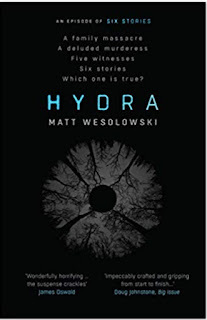 Hydra is just as creepy and chilling - a perfect mix of crime, horror and supernatural - and just as unsettling. It follows the same brilliant format as Six Stories - six linked podcasts investigating a cold case (the Macleod Massacre). Investigative journalist Scott King interviews six different witnesses, including Arla Macleod herself - now held in a medium-security mental health institution. This book reveals the dark side of teenage obsessive behaviour - do you really know what your teenagers are up to behind their locked doors? 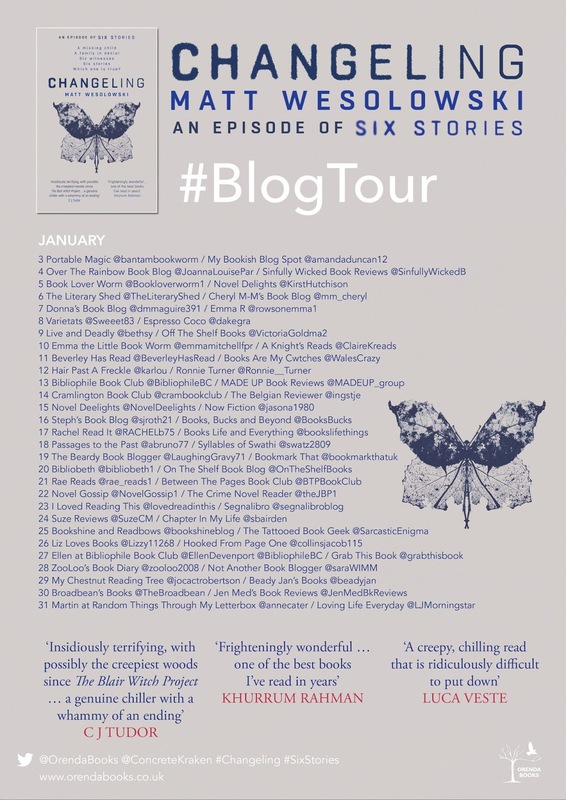 A missing child, a grieving father, a neglectful alcoholic mother, things that go tap tap tap in the night, local folklore, creepy forests... Plus gripping writing, authentic dialogue, heart-pounding tension and a final twist that I seriously didn’t see coming! Yes, as you may have guessed, I loved Changeling.